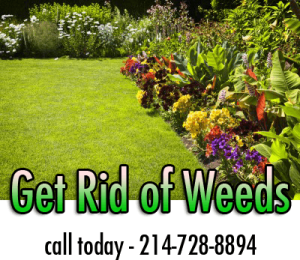 Have you spent several hours pulling weeds by hand, or spraying weed killers repetitively to no avail? Looking for a better way to improve the appearance of your lawn? Pre-emergent is the weed control lawn care product that can offer you a respite from that aggravating problem! Pre-emergent Weed Killer in the Spring. A Pre-emergent herbicide kills weeds at the earliest stage of growth — before you even see them. They are an effective preventative means of controlling weeds and are designed to be applied before the targeted weed germinates. They establish a chemical barrier that will not kill your plants, but will prevent weeds from growing successfully. The protective chemical barrier breaks down in six to eight weeks. Use of a pre-emergent, therefore, requires proper timing to be very effective – apply them very early in the season. Spring is the time to apply fertilizer hence pre-emergent weed control is designed to work before a plant germinates in early spring. Multiple applications may be required for difficult annual weeds. Apply first at the start of spring and then at carefully timed intervals as the seasons progress. It can be used effectively as precursors to other weed control strategies that take over once germination is complete. It can also be used to target existing weeds through area or zonal treatment with lower volume spray device. This can effectively control difficult weeds when rightly applied in the right mixture at right intervals, usually before the weed in question sprouts flowers or seed heads. Helps to easily uproot stragglers and knock down any remaining population of weeds before they go to seed. Pre-emergent weed control is ideal for any situation, including landscaped garden areas, lawns, vegetable gardens and non-vegetation areas. Do you spray pre-emergent and what is the cost?